Cats with longer hair tend to struggle with their hair getting matted if not brushed and maintained often. 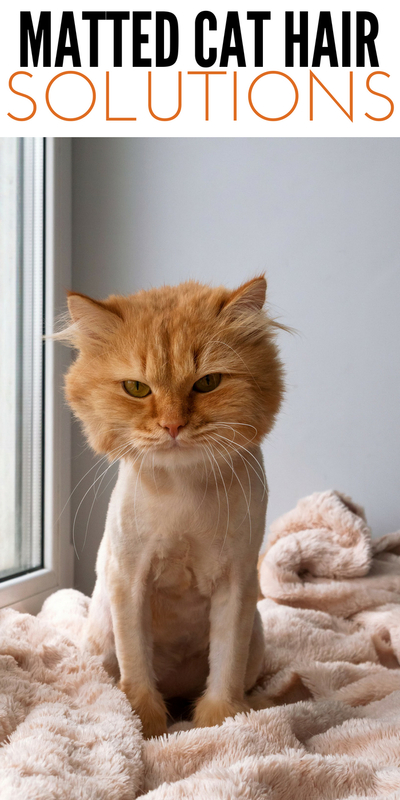 If you are struggling with matted cat hair on your cat, these tricks might save you time. These simple tips and tricks can really help loosen up the matted cat hair so you can work through it. The last thing you want is to buzz cut your cat because their hair is impossible to brush. Over time matted cat hair can really become a headache for the owner and painful for your cat. That matted fur can begin to pull on the skin making it irritated and sore. 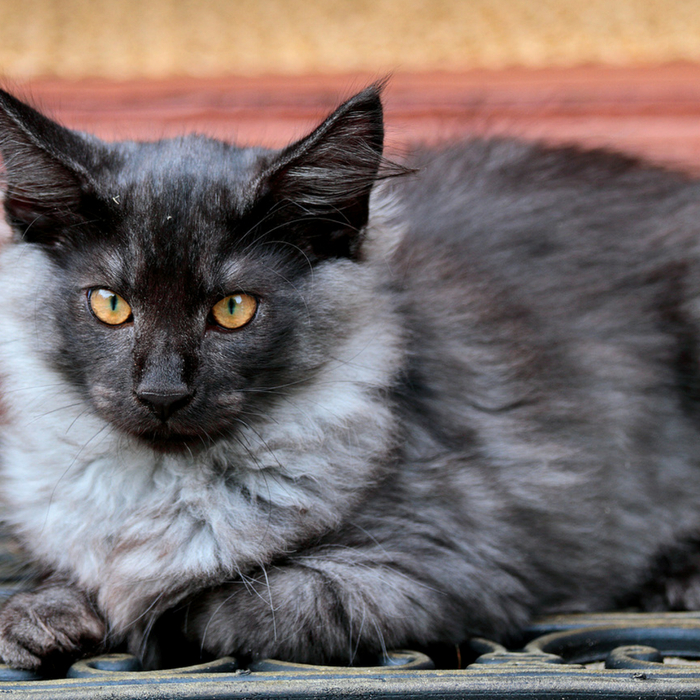 Sometimes cats can even develop open sores if their hair is matted. Do your best to work through the matted hair and then you have a clean slate to keep up on brushing so less matting happens. I want to point out this isn’t a good option for owners. Let’s face it, cats have a mind of their own. When you go putting sharp scissors right next to their skin, one harsh movement and you could have one major gash waiting to happen. So many cat owners do this and end up in the vet seeing if their cat needs stitches. What you do is take a little squirt of baby oils and rub it all over the matting making sure you get the base by the skin and the tip. After a few days, the oiled matt of cat hair will fall off. If you like the idea of baby oil but not that it has chemicals, you can do the exact same method with olive oil. This method truly has worked for so many, it’s crazy to think it works but after a few days the matting will just fall off. You can reapply the oil after a few days if the hair hasn’t budged. The falloff process can take a little bit longer. It could be a week before the hair falls. You can very gently try to pick apart the matted hair with your fingers. Make sure you are not pulling at their skin or hurting your cat. This takes a pretty patient cat to allow you to do, as it can be irritating. Not every owner says this is successful but some do if the mat is small enough. You can buy a dematting brush that is specifically made to help get rid of mats and keep the hair nice and soft. Just make sure not to brush too hard as this can hurt your cat, be gentle and work slowly. Lastly, giving a cat with a lot of mats a good haircut might be easiest. I recommend taking them to a groomer unless you are confident that you can shave your cat’s hair off safely. The teeth of hair clippers can cut if jabbed in the skin, so be very aware. Brushing your cat even just two times a week can drop the chances of your cat’s hair getting matted. Now all cats are different and you might find every other day brushing is better or just once a week. Just try to continuously be aware of brushing your cat’s hair to minimize the chances of matting. What tricks or tips do you have for matted cat hair?